The famous Vietnamese game named Flappy Bird has been officially taken down from the apps stores as of yesterday, after the developer of the game said that he have decided to remove his game. After which there was a lot of comments and criticism seen on the internet saying that he is not serious about his statement and is doing so, only to gain publicity, but the game was taken down on 9th February and you won’t find it on any app stores, while there was no chance of it making to the Windows app store. 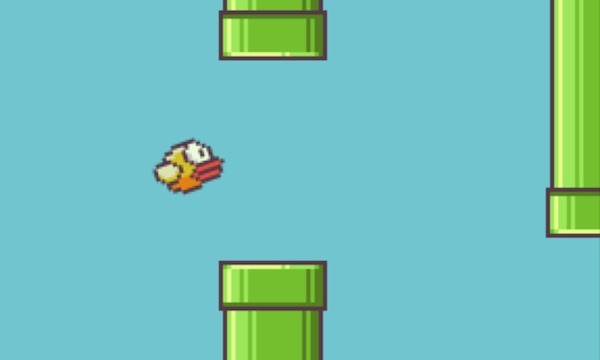 If you have no idea what Flappy Bird is, well it was a pretty famous and competitive game where you have to tap of the screen which would make the bird flap in the air for a little while and the mission was to avoid the incoming pipes as the bird fells down in case it slightly touches anything. It sounds simple but those of you who have actually played it will have the idea of how hard this game really was. According to Dong Nguyen who is the developer of Flappy Bird, he never had any intensions to be famous with this game of his but aside from what he said the game got pretty famous and got over 50 million downloads on both Android and iOS which made him earn $50.000 per day through his ad revenue in the game. Dong Nguyen said that even though the game was the reason for its success it was also the reason which ruined his simple life, as there were a lot of comments about Flappy Bird imitating some other games and was a rip-off. For those of you who already had installed Flappy Bird before it was taken down can still play the game, while for those who wants to try it out cant download it from the App store, but some third party websites might still be offering the game and you can download it from there. There are a lot of alternatives as well to the original Flappy Bird that you can download from the apps store and are completely free like Flappy Pig, Fartie Bird, and FlappyWings etc. If that was not worse, the developer suicided second day after pulling it off from App store. I wonder what made him do so. It was a goldmine for him.